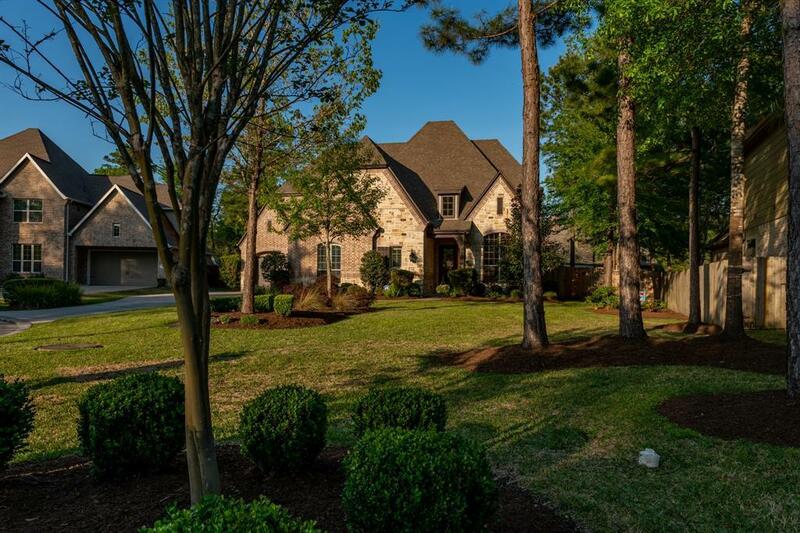 146 Monarch Park sits serenely within the grand golf community of Woodforest. 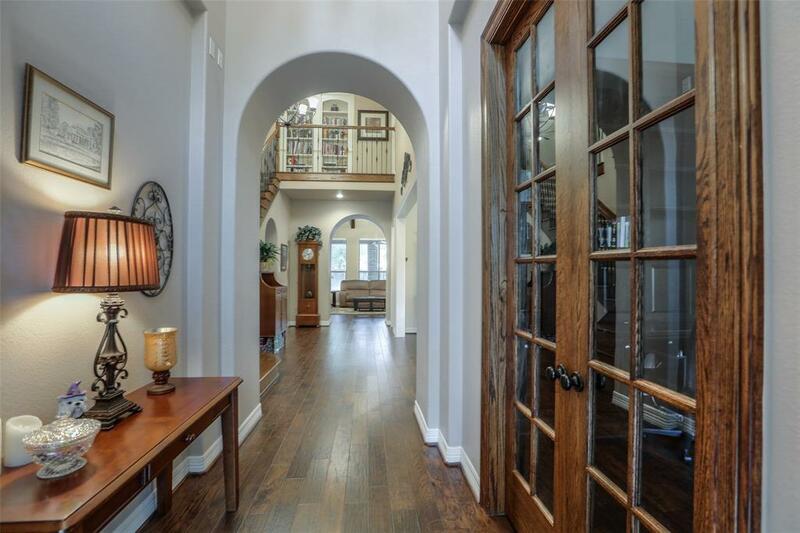 Offering spacious rooms, a home theater, wine fridge, a large formal dining room, and many built-ins, this home is a show stopper! The large kitchen offers stainless steel appliances, glistening white subway tile, and a huge kitchen island. The spacious master features a wall of windows and a lavish ensuite bath with Hollywood tub. The backyard retreat boasts a deep covered porch and fireplace. 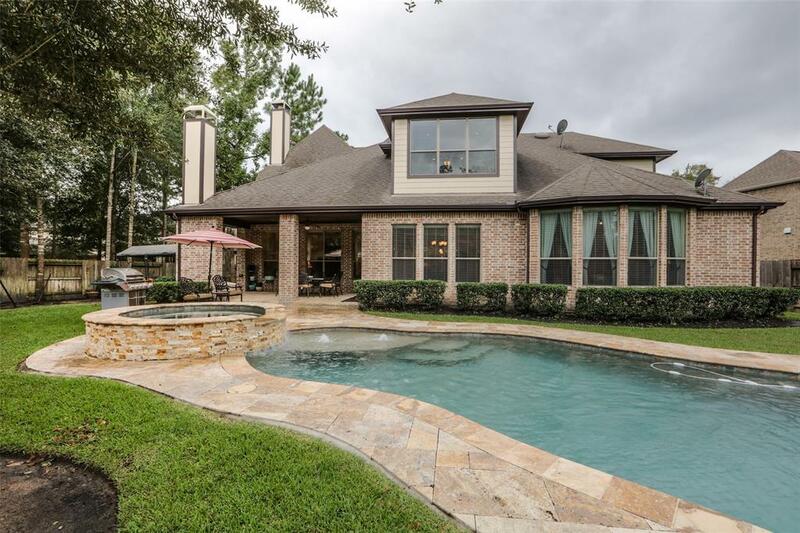 The pool features a large flagstone patio water feature and spa. 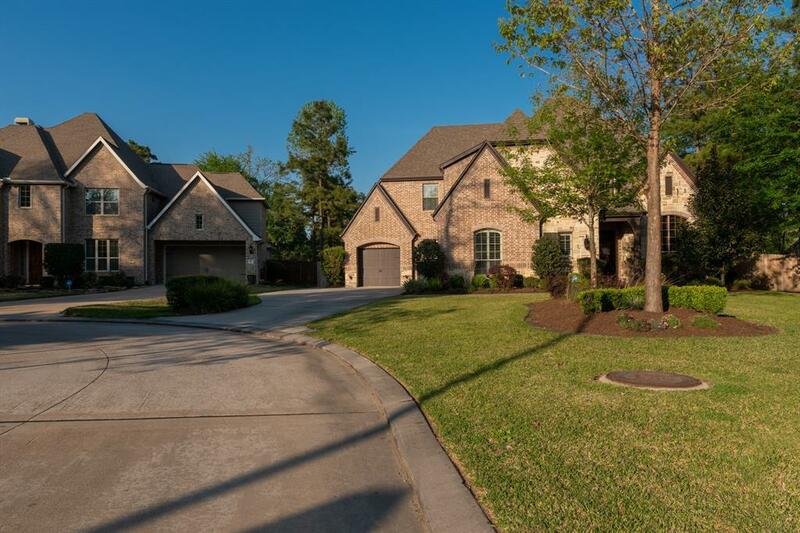 The Woodforest community offers many amenities including a 16-acre tennis and aquatics center, Woodforest Golf Club, a sports complex, parks, trails and more. Book your appointment today!